We have been doing lots of digitally printed vehicle magnets for clients who want the option to remove the graphics when they travel out of town or use their vehicles for personal trips. Here is a set of magnets we designed and produced for Boyd Hernandez Construction. 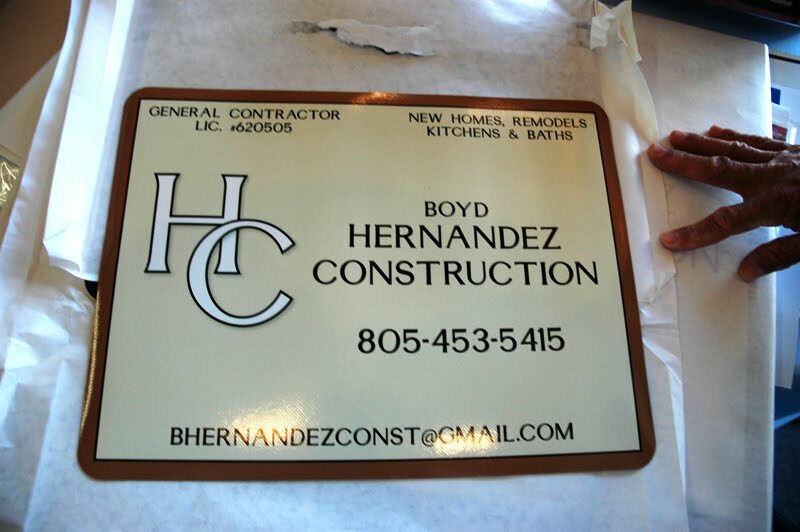 The signs were printed on Controltac, mounted on the magnetic material, and laminated with 8519 luster.